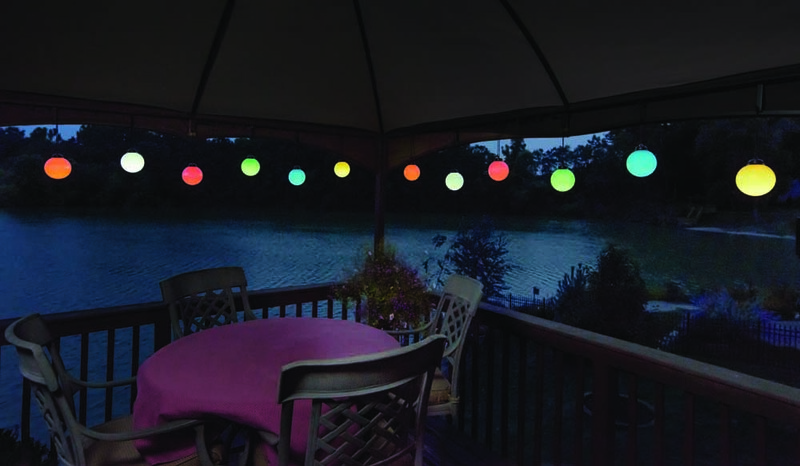 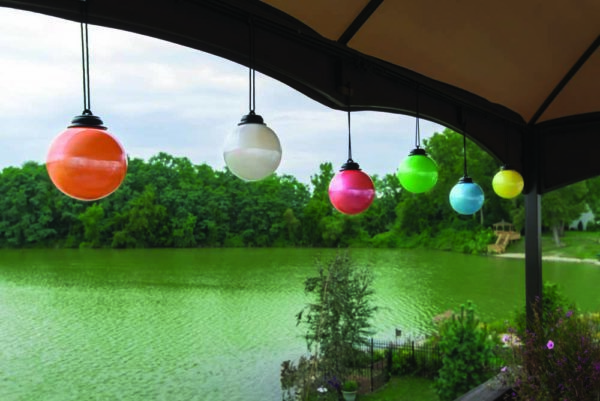 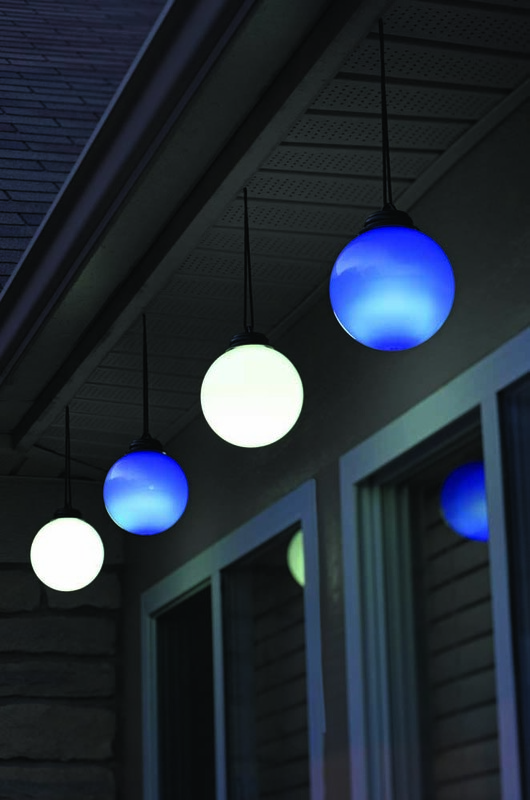 Battery operated Globes illuminate at dusk and randomly pulse while lasting the entire summer season. 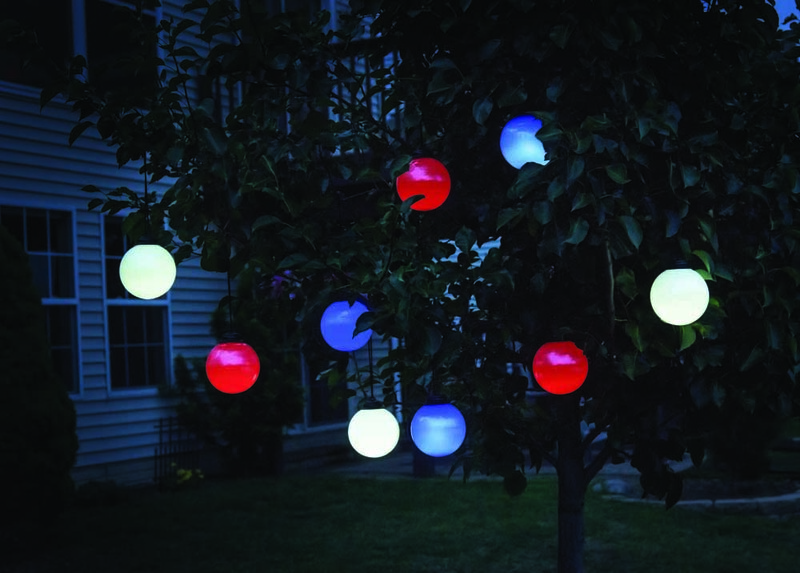 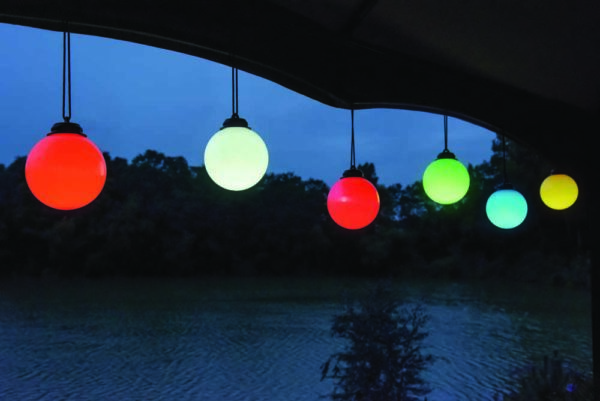 Decorative outdoor globes automatically turn on at dusk and off after 4 hours. 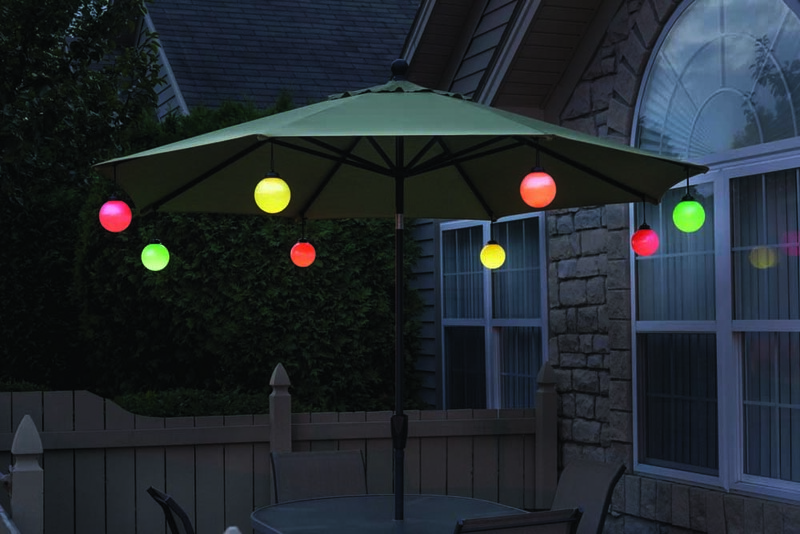 LED Light Source never needs to be replaced. 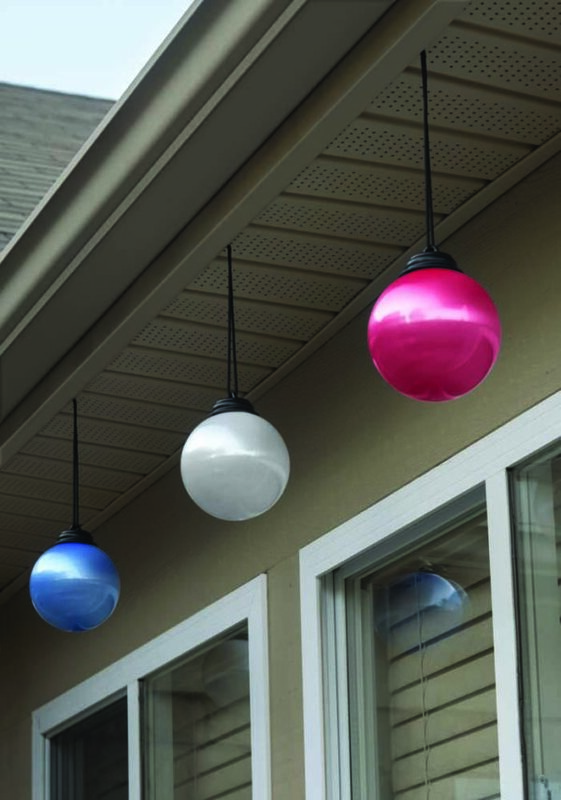 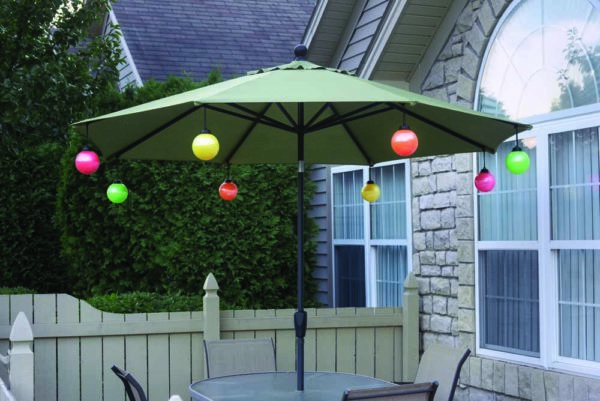 The decorative waterproof design is intended for outdoor use and hanging in trees, under eaves, or umbrellas. Uses 3 AA Alkaline batteries (not included).